HOPE – Three campuses of the Hope Public Schools have been named among the top growth achievers in Arkansas and the southwest region of the state in math and English language arts from the 2017 administration of the ACT Aspire standardized test. The Office for Education Policy of the University of Arkansas, in Fayetteville, announced the designation today in an email to HPS Superintendent Bobby Hart. Hope Academy of Public Service, Beryl Henry Elementary School, and Yerger Middle School were recognized in the findings by the OEP. Both HAPS and BHE were among the top 20 middle schools in Arkansas statewide in Overall ACT Aspire Growth, while YMS was in the top five in southwest Arkansas in Overall ACT Aspire Growth, along with the other two campuses. HAPS and BHE were among the top five Middle Math ACT Aspire Growth middle schools in southwest Arkansas, as well. 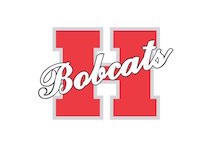 HAPS and BHE were first and second, respectively, among the top 10 middle schools in Arkansas in ACT Aspire English Language Arts Growth, according to the report. YMS was recognized among the top five Middle English Language Arts ACT Aspire Growth middle schools in southwest Arkansas, as well. Hart said the recognition was the result of a collaborative effort. A significant factor in the OEP report is the removal of demographic factors from the scoring of the schools. The report notes that “proficiency” scoring is more correctly correlated with student demographics than growth scores. “This means that schools can demonstrate high student growth regardless of the characteristics of the students they serve,” the report states. Consequently, among the top 20 middle schools statewide, based upon Overall ACT Aspire Growth, HAPS was No. 8 with an overall content growth score of 84.54, and BHE was No. 17 with an overall content growth score of 84.12. Overall in the southwest Arkansas region, HAPS was No. 1, BHE was No. 2, and YMS, with a content growth score of 80.30, was No. 5. In math scores for the southwest Arkansas region, BHE was No. 4, with a content score of 80.00, while HAPS was No. 5, with a content growth score of 79.65. HAPS was No. 1 statewide in ELA content growth at 89.45 and BHE was No. 2 statewide at 88.40. Both campuses finished first and second in the southwest Arkansas region, and YMS ranked No. 5 regionally with an 81.75 content growth score. The awards will be presented to the district later this summer.